This is a big holiday weekend and the unofficial start of summer. While many of us are enjoying parades and barbeques with family, others will be visiting cemeteries to honor fallen soldiers. The true purpose of this weekend is to remember and honor those who have died in service of the United States of America. soldiers from both sides of the Civil War. 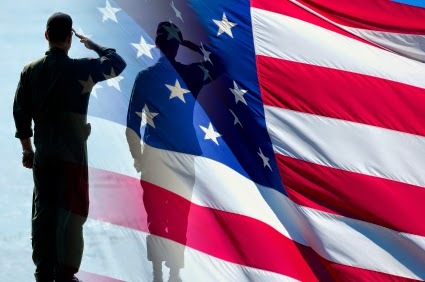 On the first Decoration Day, General James Garfield made a speech at Arlington National Cemetery, and 5,000 participants decorated the graves of the 20,000 Union and Confederate soldiers buried there, hence the name Decoration Day. By 1890, the holiday was recognized by all of the northern states. The South refused to acknowledge that date and honored their dead on separate days. After World War I, the holiday was changed to honor Americans who died fighting in any war. Have you ever wondered why you see people wearing red poppies on Memorial Day? 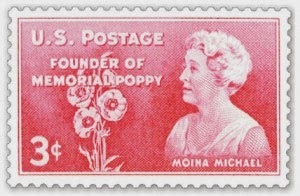 In 1915, Moina Michael wrote a poem after being inspired by the poem, "In Flanders Fields." That blood of heroes never dies." and at 3 p.m. take a moment of silence to show remembrance and respect for those who gave their lives to keep us safe.